Both original and reproduction tire pumps do not have a check valve built into them, making them difficult to use. 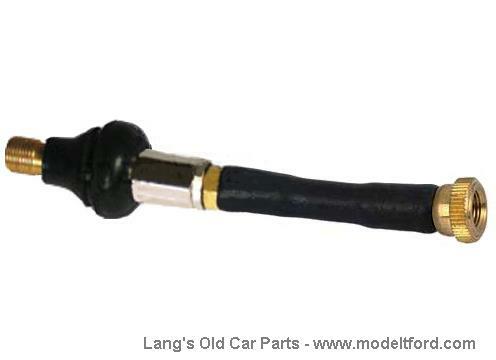 This adapter goes between the tire pump hose and your inner tube and allows the air to travel in only one direction, eliminating the back-pressure against the pump. It makes the pumps more functional. Tire pump rebuilding kit. 17 piece set.